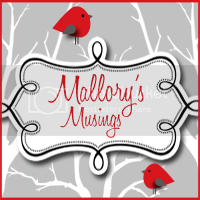 Mallory's Musings: Would ya? Could ya? Hi Friends! Top Baby Blogs has reset and I was just wondering if you'd be so kind to click on over and vote for this little blog of mine. Last time around I joined in on the fun too late and never got my rank past 130 so I am aiming higher this time. It's just two clicks. Thanks so much!